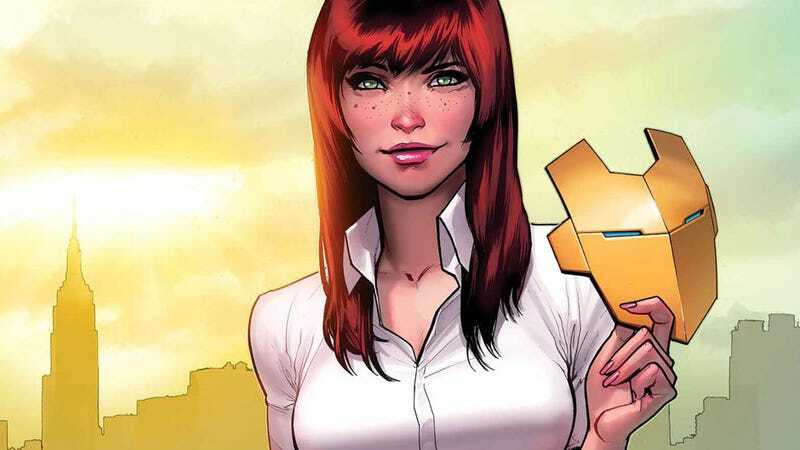 You can’t say the name “Mary Jane Watson” without immediately thinking about Spider-Man. Peter Parker’s favorite redhead originally appeared in the webslinger’s comics more than fifty years ago and has primarily been used in Spidey storylines since then. But she’s leaving webshooters behind... for Stark-brand power armor. MJ and Peter haven’t been romantically involved in recent Spider-Man continuity and, in the upcoming Amazing Spider-Man series, Mr. Parker’s going to be a globe-trotting CEO adventurer in the Tony Stark mode. So, MJ’s closer proximity to Tony could lead to a change in dynamic between Spider-Man and Iron Man.